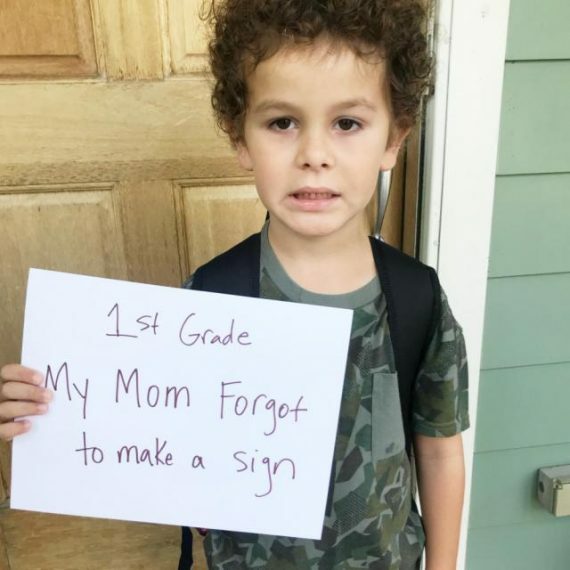 Can we all just agree that this trend of holding up a sign on the first day of school should just go away? Consider this my personal boycott. For one mom, the sign she made for her child could not offer a more realistic take on the busy life of a parent. 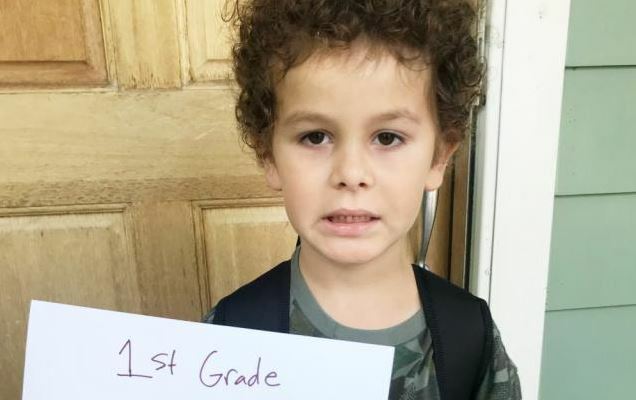 Lindsay Sutton, the mom behind the blog Essentially Momming, posted a photo on her blog’s Facebook page earlier this month that showed her son on his first day of school in Missouri. Like many kids, he held a sign that included his grade. It also included a funny message. Let’s hear it for the boy…and this mom!